SC:I want to welcome you all to another edition of Watch Out. This week I’m excited to bring you author Chris Redding. Welcome to Watch Out, Chris, it is so great to have you here. CR: I know many romance authors have that story, but I never really read romance as a teen or twenty-something. I read science fiction and mystery. When I wanted to write professionally, the only organization that would take an unpublished writer was RWA, so I joined them and NJRW, what was my local chapter at the time. That’s really when I began to read romance. 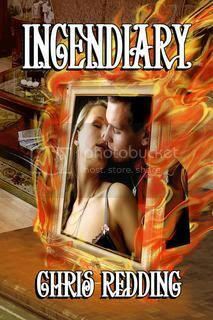 CR:Incendiary is a romantic suspense set in New Jersey. A firefighter, who was accused years before of arson, has returned to his hometown to prove he never set any fires. The arsons begin again as soon as he arrives. He enlists the help of his former lover, an EMT who is now raising a child and running the local first aid squad. They also have some history to work through while they are trying to solve the string of arsons. CR:Anything can catch my interest.If it gets my brain saying, “What if?” then I go with it. I’ve tried writing straight romance or romantic comedy and I always end up with a dead body. Crime just seems to work for me. SC:If you were not a writer what other career would you like to have? CR:ER Nurse or a paramedic. I was an EMT for about six years and the department I work in at my local hospital is under the Emergency Medical Services Department so I am surrounded by emergency medicine. CR:I’m not shy. Most writers seem to be introverts. Not me. Not a shy bone in my body. CR:This is going to sound insane to other writers, but when I get the edits. Here I get another chance to make the story the best it can be. CR:Dragon Warrior by Janet Chapman. SC: We authors are faced with writers block every so often. How do you work through writers block when it hits? CR:Okay, fellow writers, don’t hate me. I’ve never had writers’ block. I have time when I don’t feel like writing, but when I set the words are there. You have to trust yourself. Writers too often angst over things. Just let the word be there. You can always go back and fix them. SC: Are there any genre’s you have not written yet and would love to write? CR: I would love to write a straight romantic comedy. Not sure if it would work as I’ve figured out the one I wrote needs a dead body. CR:Say Yes to the Dress and What Not to Wear. And ice cream. I could give up all other sweets for ice cream. CR:I usually have a lot going on along with lots of twists and turns. You need to pay attention when you read my stuff. My son who is an aspiring filmmaker asked me once if I keep a chart of what is going on. I told him I’d love to tell him that, but my mind works the way my books go. I guess it’s ADD. CR:Be persistent. Success does not happen overnight so keep on plugging. SC: What would you say has been the hardest part for you when it comes to trying to get published? CR: Editors and agents never getting back to you. If you state that in your guidelines, that gives me the option of not submitting to you. But if you just ignore my submission, then that’s rude. CR: The same advice I received. Be persistent. And, also, don’t have your path to publication set in stone. There are many avenues for writers these days. Thanks so much for having me today. Ha ! Nice to meet an author is not an introvert. I count myself among the shy ones. I think that through social networking, many introverts have found a channel to express themselves—which is really nice to see. 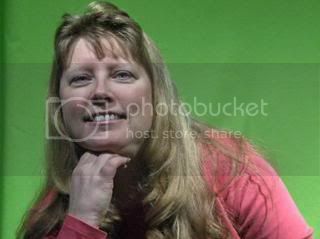 Chris thank you so much for being my guest this week on Watch Out. It is so great to have you here to share your work with the world. Chris! How awesome to see you here at Savannah’s. Great interview. And I know exactly what you mean about edits. Me too. Love the sound of your new book. Cassie thank you so much for coming by and checking out WO…Your support means a lot. Great interview, ladies. RWA is a great organization in how much their published authors give back. They welcome and support new writers. It was great to meet you, Chris. I had to laugh about the bodies strewn around your books because I was the same way. There wasn’t a body in my last book but there was crime so it was close. You’re right about persistence. You don’t get anywhere without it. Good luck with your new release. It sounds like my kind of book and I’m off to check it out.